Please start with Week One if you haven’t read it already. 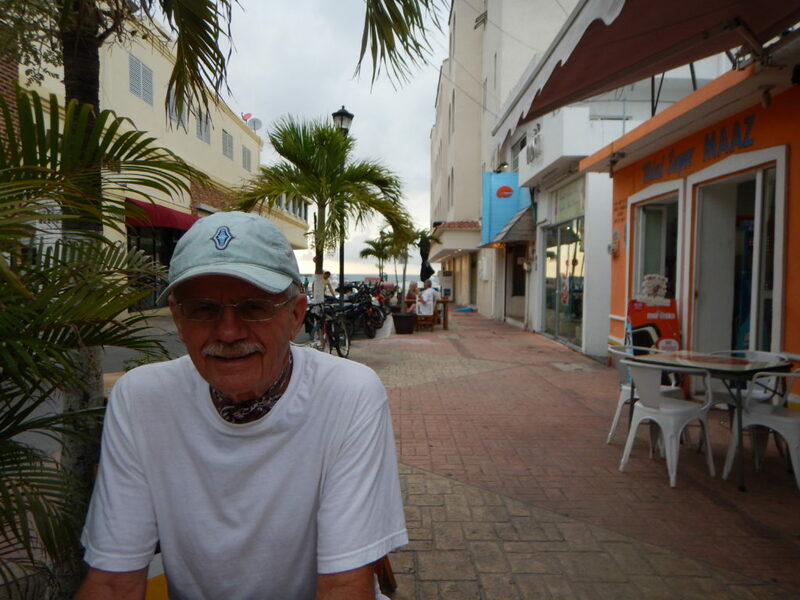 Our last week on Isla Cozumel went something like this; rain, rain, rain…sun, sun…rain, rain, rain…sun, sun. You get the picture we had more rain than sun. This weather pattern definitely affected Dale’s fishing experience. The road that he travels to get to the boat dock is an unmaintained road. The rains create ponds (not puddles) along the way which turns the area into swamps. Having a scooter as the mode of transportation is just not adequate to navigate the situation. 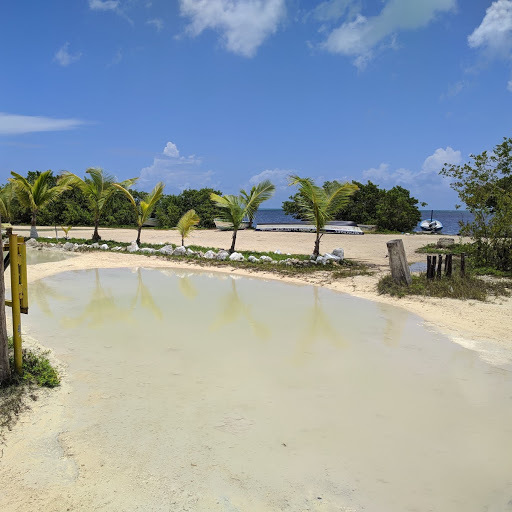 The rain also affects the quality of the water in the lagoons adding too much fresh water and the bone fish don’t like that kind of environment. 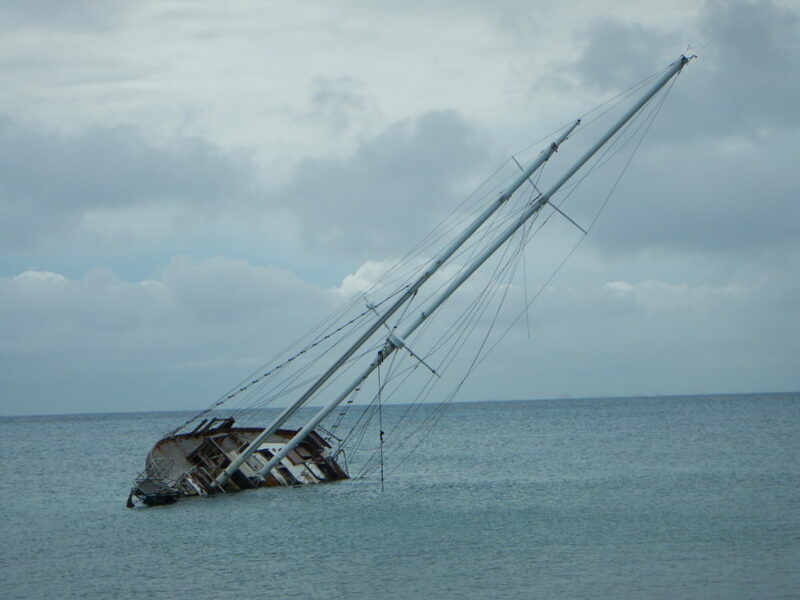 The life of a fisherman, thinking he had another week of fishing turned out to be only a couple of days. For me the rainy days made it a little easier to stay indoors and get my work done. 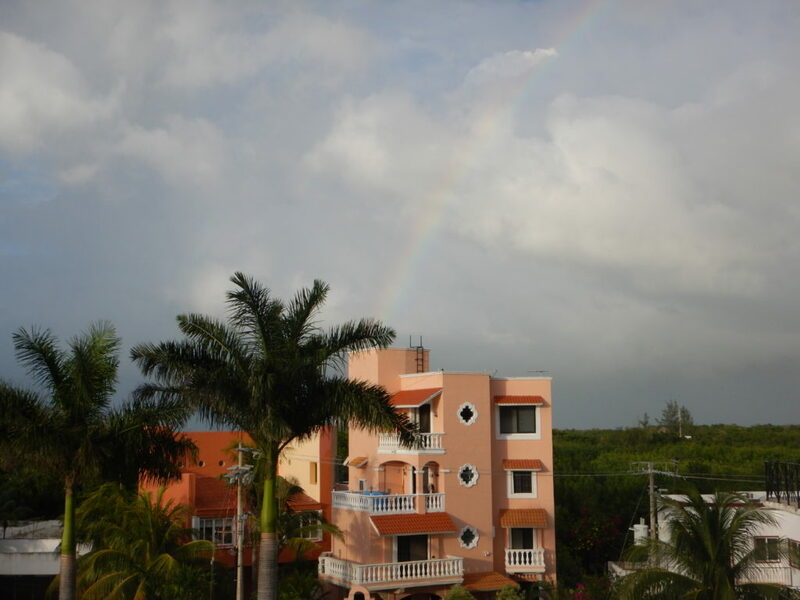 Believe me it’s not hard though, capturing a rainbow from the roof top or listening to the waves crash on the shore. 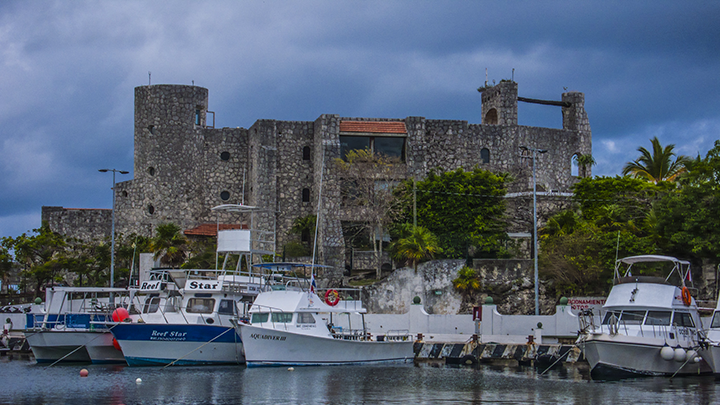 Another mystery is a castle like building at the Puerto Abrigo Marina. The only information that I could find about it was a post on Trip Advisor when someone asked a question, wondering what it was. Sounds like another plan gone wrong when some wealthy guy wanted a place to meet with his mistress. It is intriguing and takes up a lot of land. 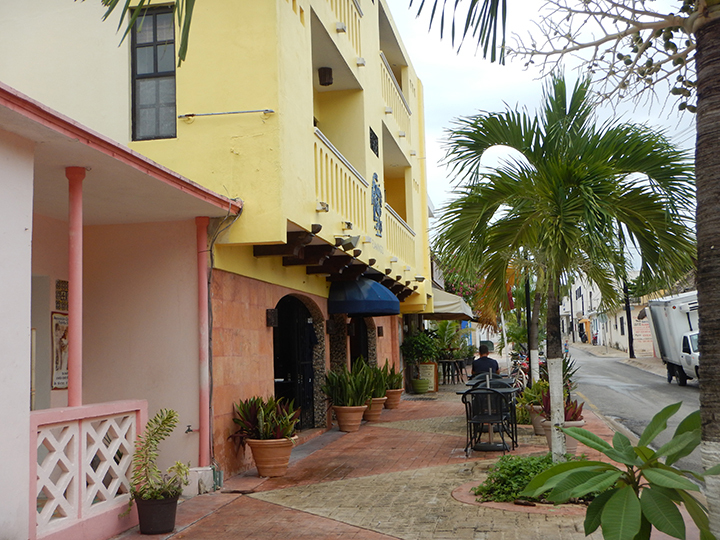 Along the Megalar and the many side streets you’ll find shops and restaurants, sports bars of different shapes, sizes, and styles. A lunch time favorite on one of the side streets is Maple Bakery, they offer reshly baked bread and sweets and a delightful lunch menu. Most of the restaurants offer an English and Spanish version of their menu but they only have the Spanish version. Most often I can read Spanish and with the help of Google translate on our phones it’s no problem. I ordered the avocado stuffed (I learned that relleno means stuffed which I didn’t realize before, duh) with a quinoa mix that was very good and Dale a sandwich with freshly baked bread. It’s small with only 6 or 7 tables but it has an inviting atmosphere and super friendly people. Scootering our way to grocery store we noticed that the police were closing some of the streets and people are gathering along the Megalar sidewalks. 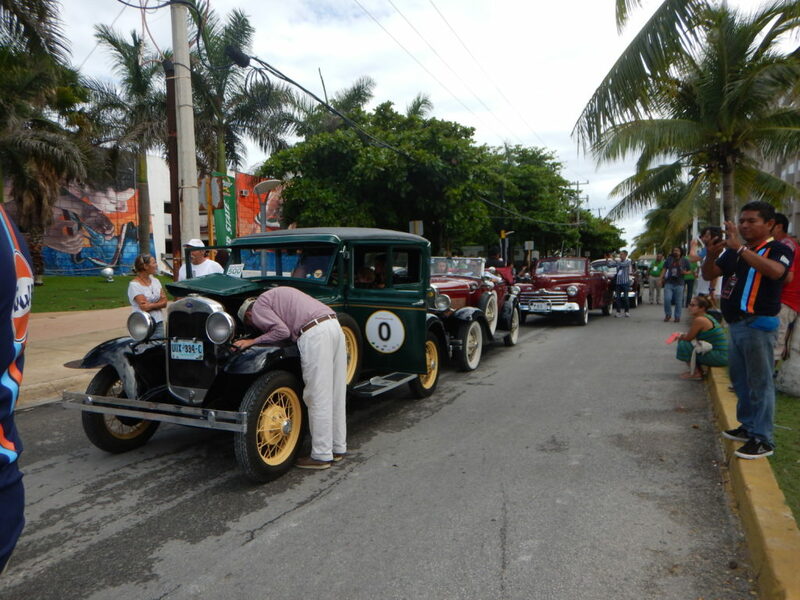 It perked our curiosity so we investigated to find out what was going on and found that there was a classic car show or parade about to begin down the Megalar. There was excitement in the air as the drivers got ready for their turn to show off their pride possessions. 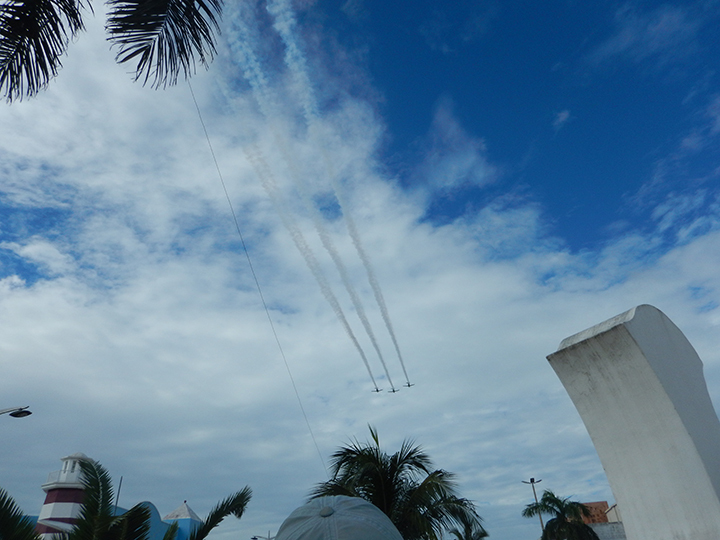 There were radio or tv interviews being recorded and then all of a sudden, three jets (they looked vintage or classic as well) flew overhead low enough to shake the ground which was the indication that to parade was to start. One of our favorite Mexican foods are tamales. The restaurants don’t have them on their menus. So a couple of years ago we found a woman advertising fresh made tamales for sale on Thurs., Friday and Sat. until they are gone. They are sooooo good. This year we were hoping that she was still selling her goods. Sure enough she was there, and this year she has a sign, too. A real entrepreneur, I love that. 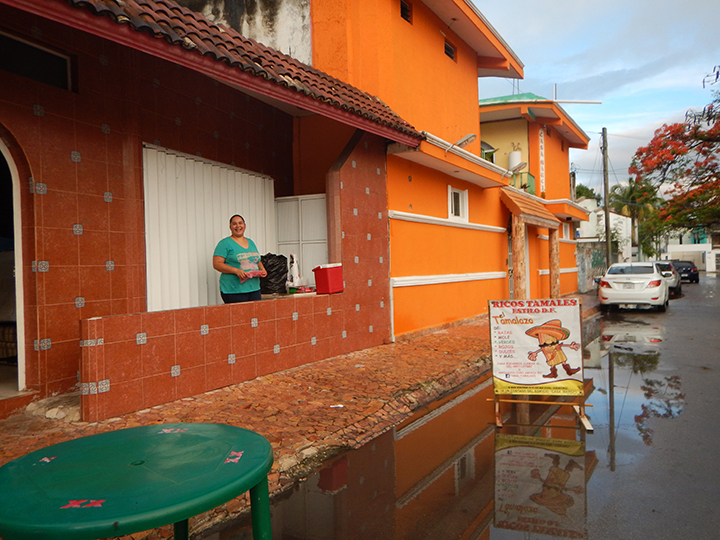 She offers chile and cheese, mushroom, pork rojo (red sauce) and chicken mole.We always buy a dozen or so to last the week. She doesn’t speak English but if there is a struggle she calls for her husband who speak fairly good English. 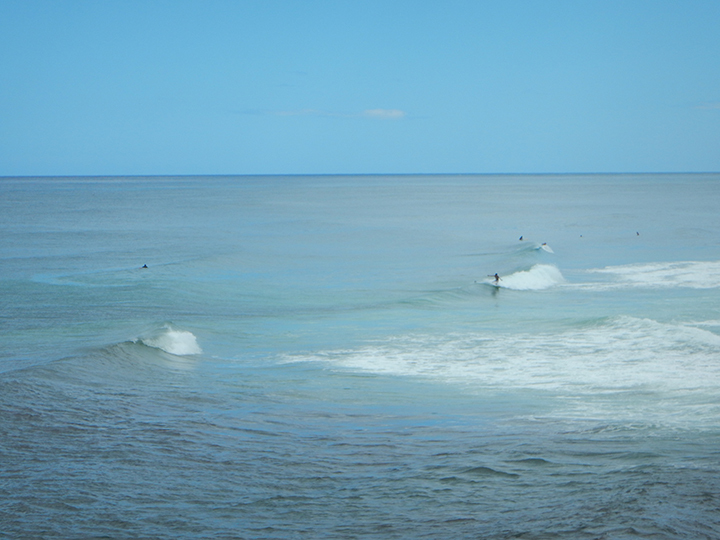 We’ve been on the east side of the island many times but thought we would take a ride out there once again. It’s a nice ride and completely different than the west side. The east side is not recommended for swimming the under tow is unpredictable and many people have drowned there. There is more weather there and it’s more remote. The turtles lay there eggs on that side and are protected by the Turtle Protection Program. 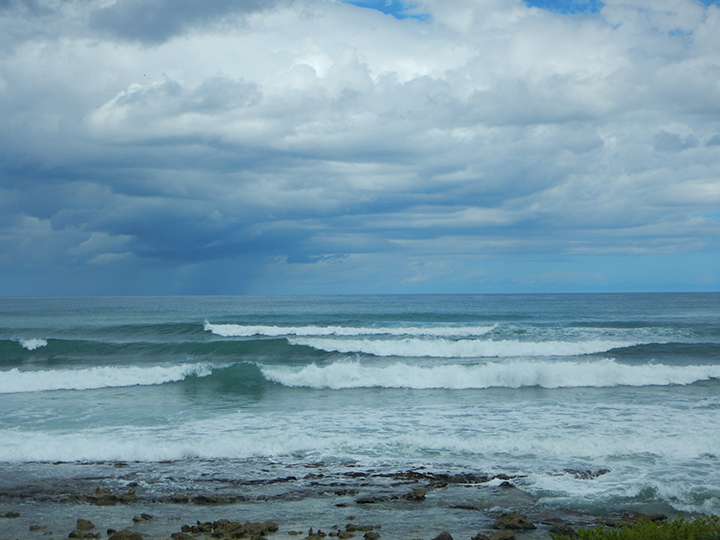 The unstable weather made for a very active sea, the waves were large and it was the first time we’ve seen surfers catching waves. We watched them for a while, it looks challenging to say the least. Circling back around to town we thought we would grab some dinner before heading back to the north end of the island. We noticed this taco shop and stopped in to try it. 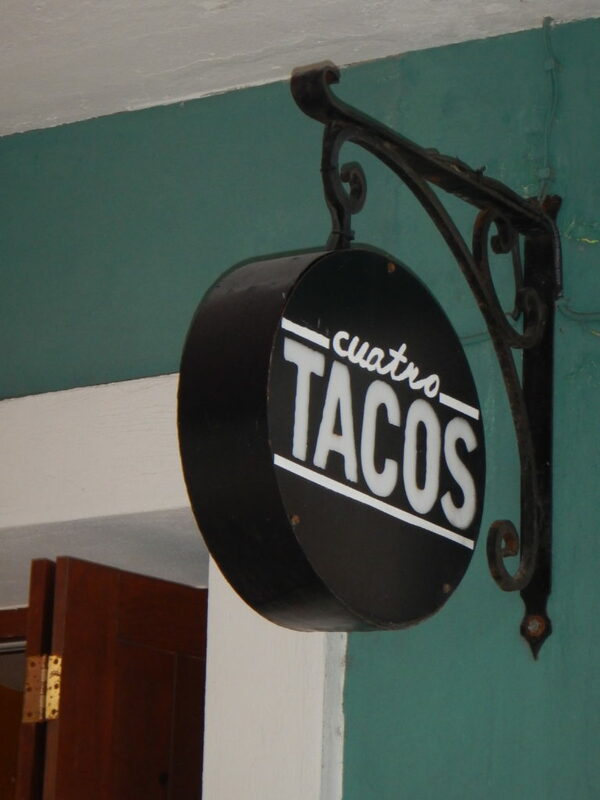 I love the simplicity of Cuatro Tacos sign and the way they served their tacos. You got 4 tacos for $8.00. They offer beef, pork, mushroom in a coconut sauce and a special. The mushroom coconut was really good, I had never had that combination before. At our home area of the California Sierra Foothills, we have lizards running around all over the place. We’re use to it. 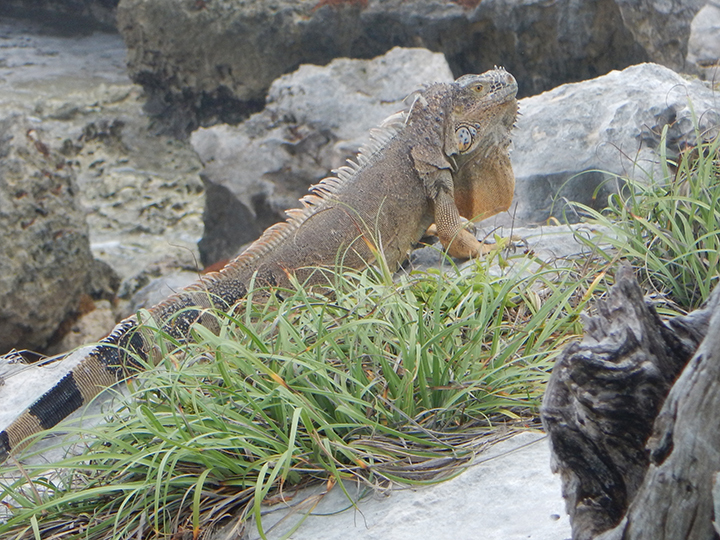 Here on the island, there are these guys running around, iguanas of all sizes. They really don’t run around they kind of lurk and they’re everywhere. This was by far one of the biggest ones I’ve seen. It’s a little hard to get used to but they are harmless. They’re most often camouflaged and are very still so it’s easy to be startled when you don’t see them at first. That was the case with this one, standing on the rock looking at the ocean I didn’t even see him at first. The most common mode of transportation on the island are scooters, colectiveos (small buses used by local workers to and from work), cars, and taxis. Taxis are everywhere and it’s a good thing, they are needed. 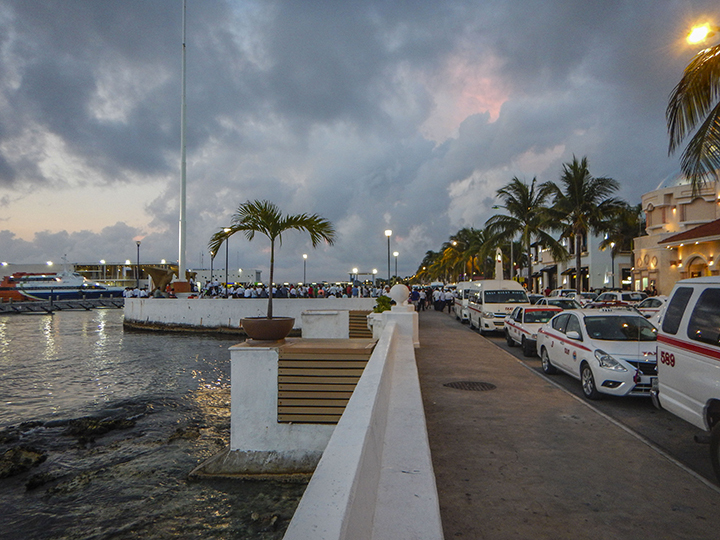 Every hour the ferries bring people from the mainland and the taxis are lined up ready for business. One day we came into town to find that the Megalar was closed but the taxis were on the road. It was strange. We parked and walked to the ferry dock to find out what was happening. That’s were we discovered that the taxi drivers had all parked their vehicles in the road to block anyone else from entering. All the drivers were gathered, some where speaking to the group with concern in their voices. We asked some of the drivers what was going on and they told us that they were striking because the government is now allowing Uber to come into the community. They were worried that their business was going to be negatively affected by this. 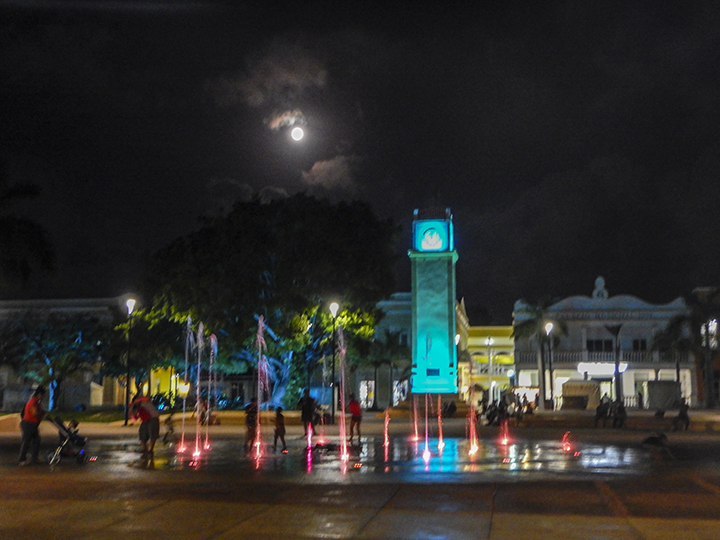 San Miguel, Cozumel is very colorful at night, the town square is lite up with lights of all colors. 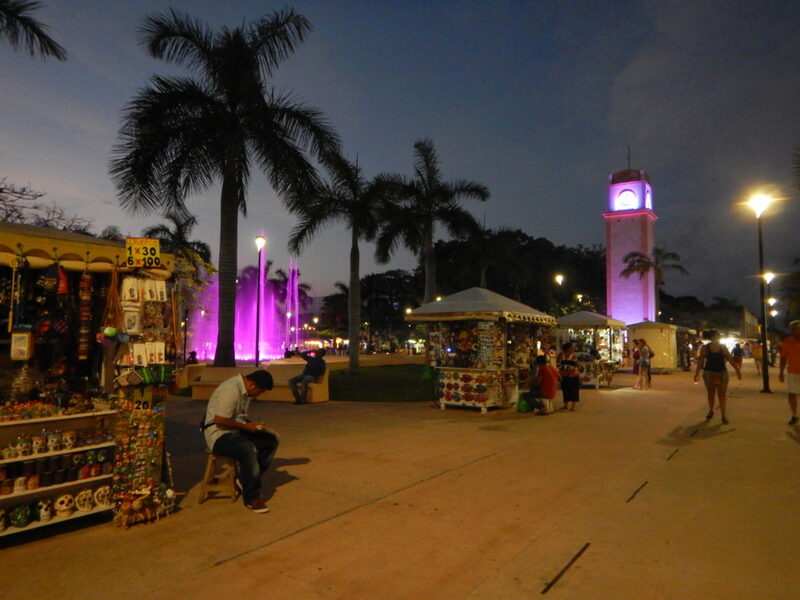 The vendors line up to show their wares and the children play in the colorful water spouts of the fountain. 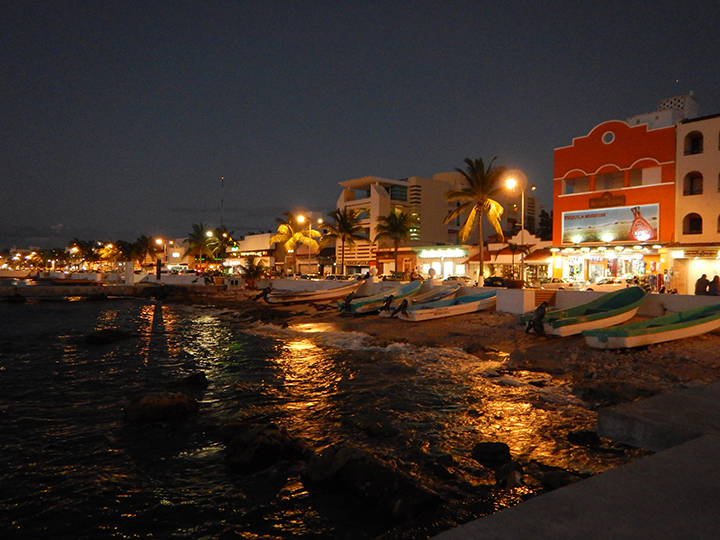 Along the Megalar the shops, bars and restaurant lights reflect on the shoreline. 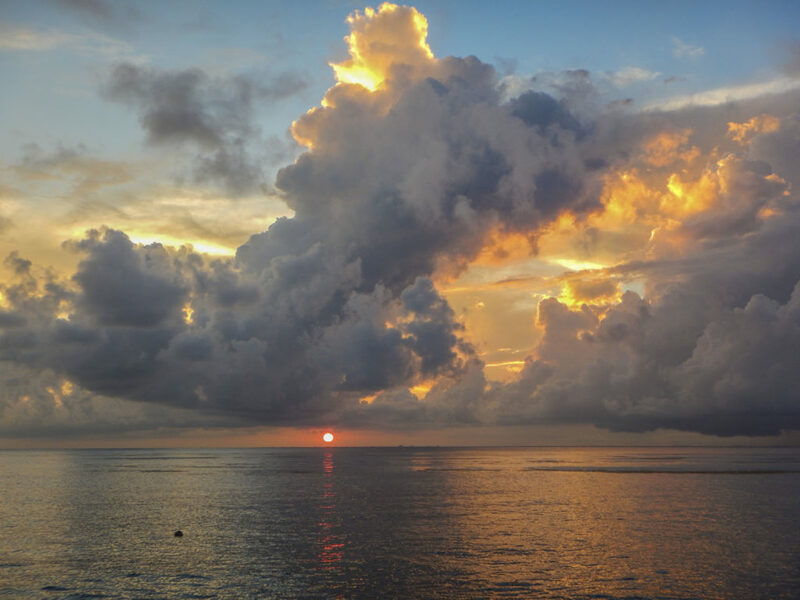 Have I mentioned the sunsets? I’ll leave you with one more, it’s a beauty. 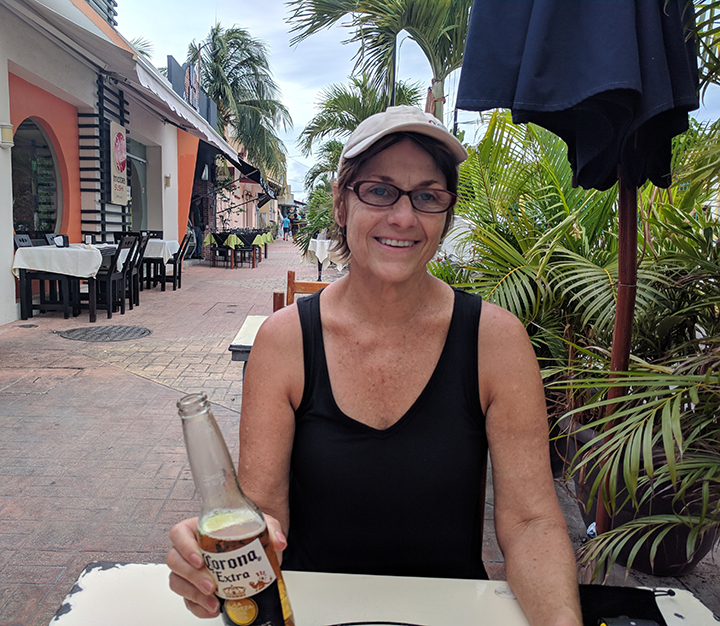 Now, at home we reminisce of our time spent with the people of Cozumel. If you haven’t been there you should go it is a delite. We are too, it was a lovely visit. Miss you, hugs.